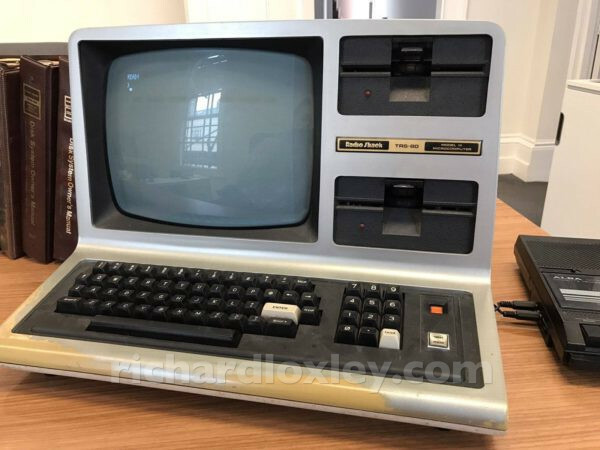 I’d always fancied a TRS-80, being the grown-up brother of our Video Genie, and having a superb design aesthetic (a 1970s view of the future). 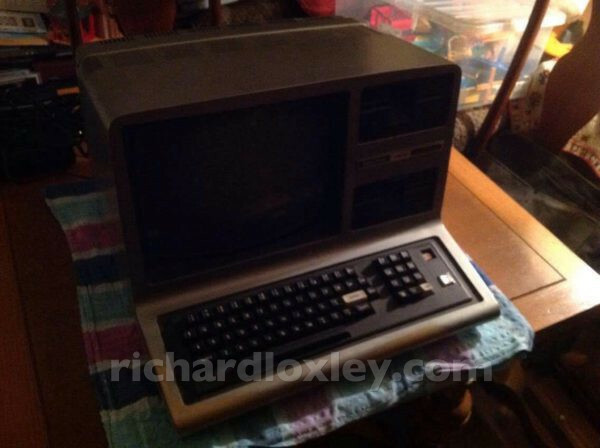 TRS-80 model 1s often come up, but the disk expansion for them are rarer, and I’m not sure I’d want to use cassettes. 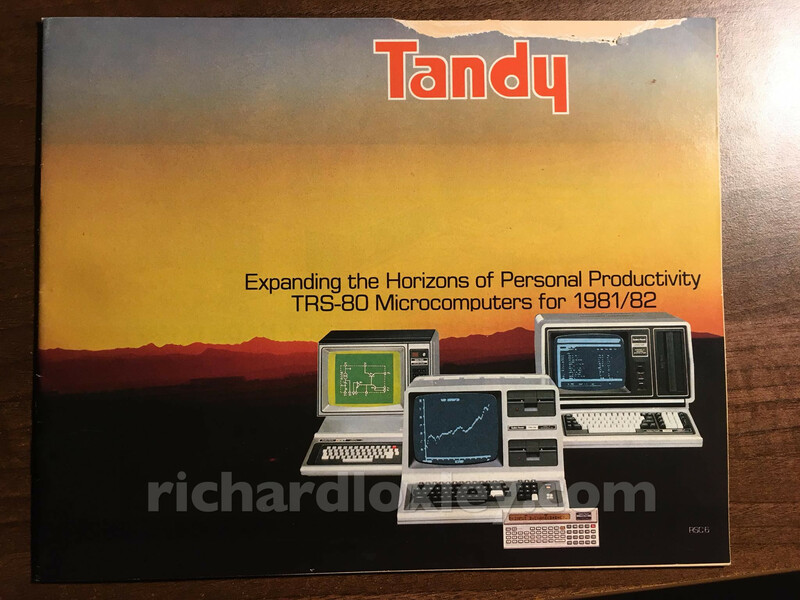 Also part of the ‘look’ was the Radio Shack monitors, which are also now rare. So I was happy to see a Model 3 TRS-80 up for auction, fully working! These have built in monitors and disk drives, and look absolutely gorgeous! The seller lived a long way from me, and it was collection only. Thankfully my brother and sister-in-law live about half an hour away from the seller, so they agreed to pick it up for me. 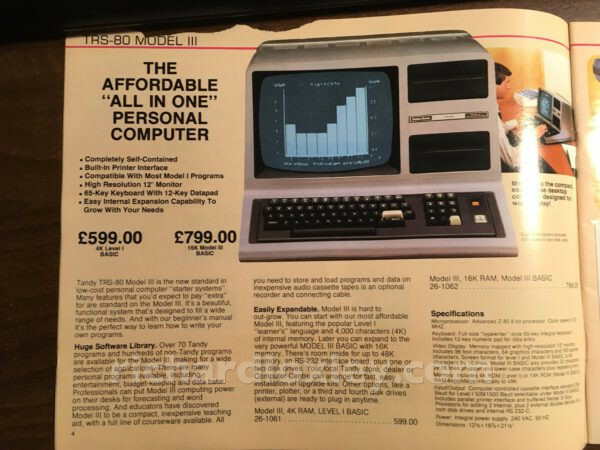 My brother also wanted to buy the computer, but he couldn’t justify the money, or the space in their house. So I thought he would probably be happy to give it house space for a few weeks until I could pick it up. While waiting for the computer I had a look through my collection of old computer paperwork. I had a bundle of papers given to me by a colleague 17 years ago. 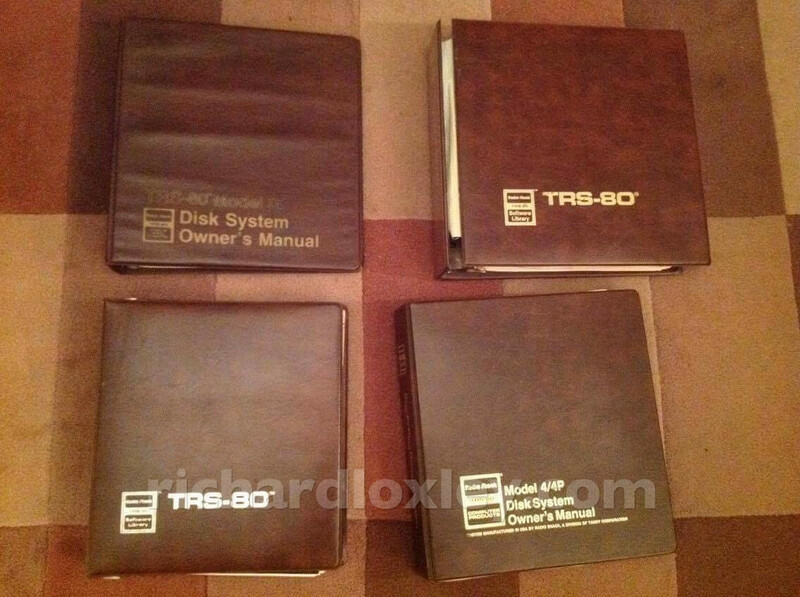 By the looks of it someone had been to a computer show in London in 1982 and picked up brochures from most of the stalls. Most hadn’t even been opened. They talk about the impact microcomputers will have. 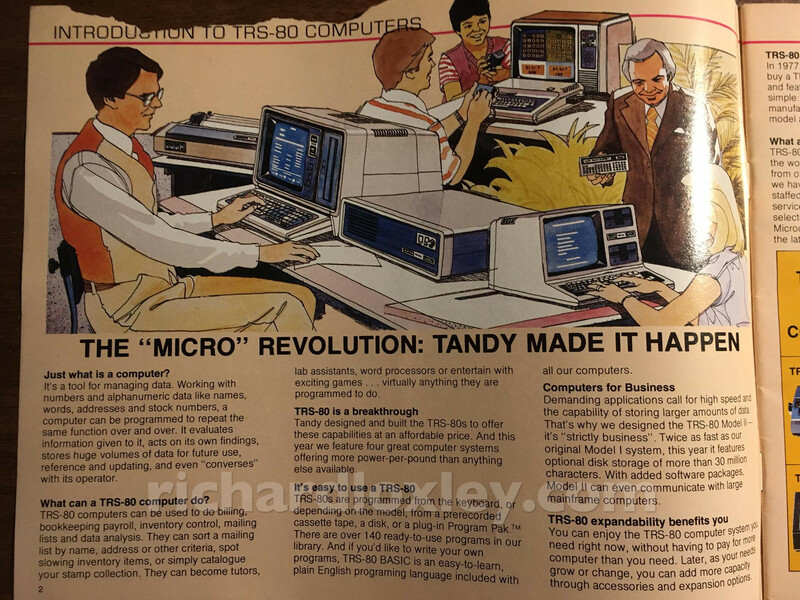 For once the hype was right – it really was a revolution! A very nice selection of manuals and software with the TRS-80. We were speculating whether they are rarer than the computer itself? 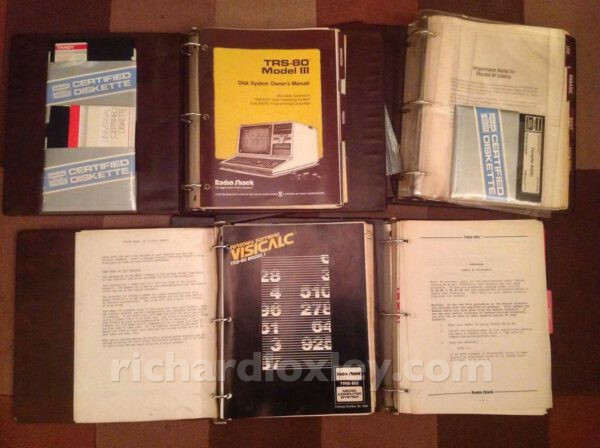 My brother has since pointed me to this online collection of TRS-80 manuals. I think it would take a lifetime to read those – I spent 15 minutes just reading the titles and I’ve no idea how far through the list I got!